Previous PostLost Archives: DARK, RAW, and Minimal.Next PostPan Am Railway’s EDBF: Stone Arches and DASH8s. Nice shot! Kind of looks like a promotional photo for a potential buyer. On a clear day in Western MA the sky is blue but I don’t recall it being THAT blue! Do you have a filter that removes dirt and grime from an image? 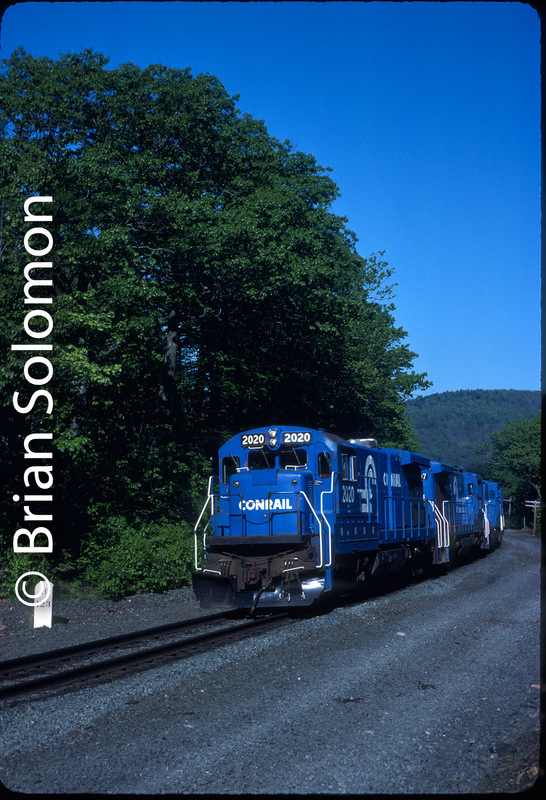 Maybe those units were straight out of the paint shop because I NEVER saw a Conrail unit THAT clean! It’s kind of like seeing a U.P. unit clean!? An old “head” once told me the dirt adds weight for traction…..